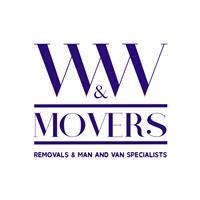 W&W Movers is a family owned business based in Ealing, West London. We specialise in Home Removals and Man & Van Service for residential and small to medium businesses. We are known for delivering the most perfectly planned moves and a majority of business comes from repeat clients and client recommendation. At W&W Movers, we bring the expertise, logistical skills and professional knowledge to your important residential or business move. Based in Ealing, we can move you within the M25 or elsewhere in the country. Call us on 0203 282 1582 or email [email protected] for a free no obligation quotation.